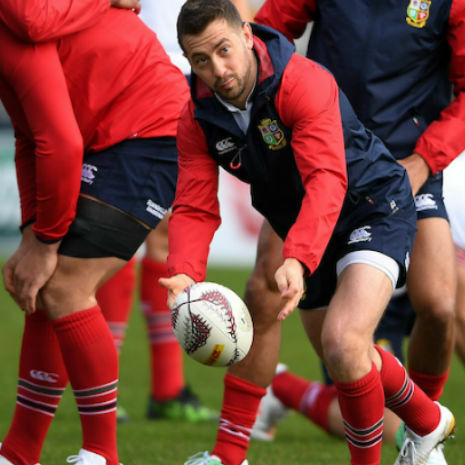 We have teamed up with esteemed Chartered Physiotherapist, Neil Aitken, to give you high-quality information on the most common Rugby injuries and how to best recover from them. If there’s a particular injury you’d like us to cover with Neil’s help, get in touch with us on social media (Facebook | Twitter). What are the quadriceps (quad) muscles? What do quads muscles do? How do you know if you have strained your quad? What should I do if I’ve strained my quad? What is the recovery time for quads injuries? How important is it to rehab the quads? 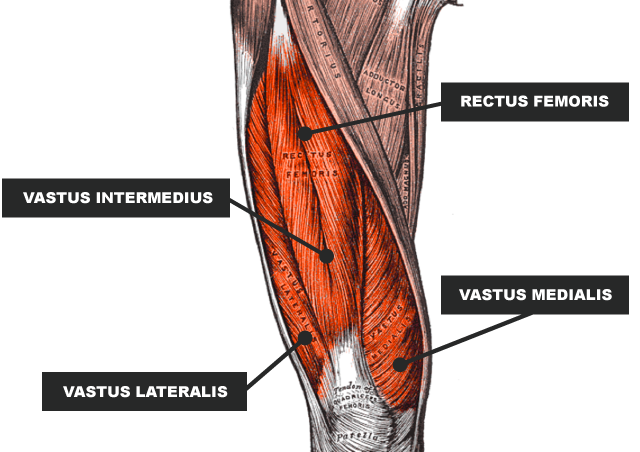 A group of four muscles: Vastus lateralis, vastus medialis, vastus intermedius and the rectus femoris. They straighten the knee and help to flex the hip. The quads are heavily used in both day to day activities and also in running. As such overuse can sometimes cause tightness. With a mild strain you will feel a sudden tightness in the thigh muscle, usually accompanied by pain. You may be able to continue to run but it won’t ‘feel right’. With a more severe strain, you will feel a sudden sharp pain in your thigh muscle. You will not be able to run and walking may also be very sore. There may not be any swelling or bruising. With a severe strain, there may be a ‘divot’ in the thigh muscle. If there is any doubt about your injury you should seek medical attention. For a mild strain, you can follow the PRICE regime for the first 1-2 weeks (Protection, Rest, Ice, Compression & Elevation). This limits any further damage and allows the initial healing to take place. 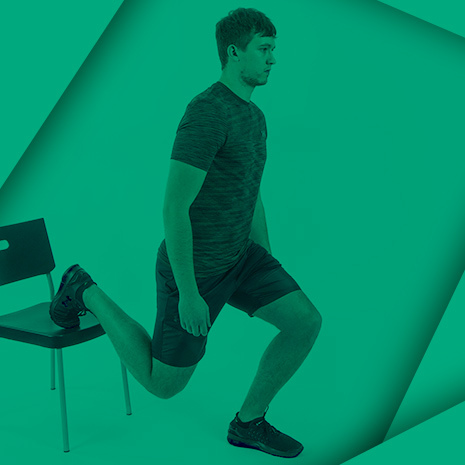 Then gradually rehab the quadriceps and the rest of the leg by following the recommendations in our Quadriceps Injury: Comprehensive Recovery Guide. For a more severe strain, it may be possible to manage this conservatively and follow the same recommendations. Albeit at a slower rate. However, it may be necessary to seek further medical help by attending an Orthopaedic assessment to see if surgery is required. Your GP would refer you for this. For minor quadriceps strains, it can be 2-6 weeks. For more severe quad injuries it could be 6-12 weeks. It is very important for several reasons. Firstly, the rehabilitation process ensures that the new collagen tissue in the muscle is of good quality, being both flexible and strong. This limits the potential for re-injury. Secondly, the quads play a vital role in giving stability to the knee, so ensuring that it returns to full strength will help to prevent future knee injuries. 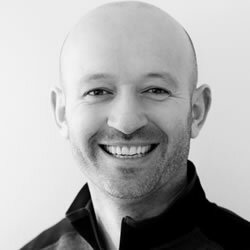 Neil Aitken is a Chartered Physiotherapist with a private clinic in Edinburgh. 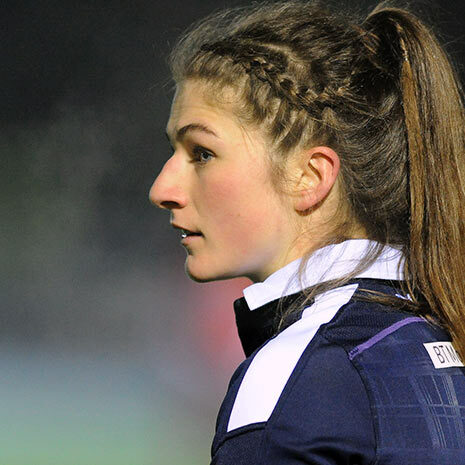 He has previous experience as a senior physiotherapist in the NHS and provided physio for one of the top amateur rugby teams in Scotland. He is highly evidence-based having completed a Post Grad in Musculoskeletal Physiotherapy and gaining membership to the MACP, one of the most highly respected qualifications within physiotherapy.